January sees two of our sets reappearing on prime-time TV for new seasons: The Voice, currently on it’s third outing, and Dancing on Ice on its second. Practically every set we build is used for consecutive seasons of filming in this way. Once viewed by TV audiences of millions, each is dismantled and stored, awaiting the green light for the next year. Storing a set for TV or theatre between seasons is not, however, a passive activity. There is an ongoing programme of protecting and maintaining stored sets, with each element being checked and repaired as necessary, alterations made, additional features added, and new travel crates built as required. 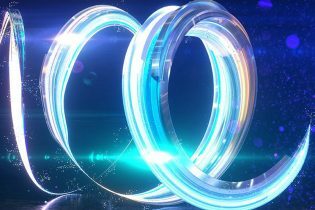 For 2019, the set for Dancing on Ice sees a wider ice rink calling for new surrounds and trims as well as a modified entrance tunnel. As the shows evolve, so do the sets. 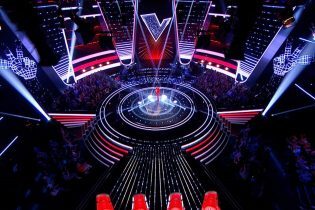 The Voice has a full-on schedule taking in six different configurations and two locations each year. Each change comes with a slightly different layout or additions, this repeated use and remodelling relying heavily on the quality of our original workshop build and the diligence of our crew on-site. For 2019, you’ll see a new Judges’ stage built to accommodate LED screens, replacing the LED strips of the previous two years. We also made new seat covers to protect the iconic Judges’ chairs during rehearsals and some new travel crates, ensuring the set reaches the Manchester or Elstree Studios ready for the next show in the busy schedule. Tune in and watch Saturday and Sunday evenings, ITV.